We are the technological leader for ergonomic and highly-dynamic process solutions. Founded in 1987, we develop the software zenon for HMI/SCADA, dynamic production reporting and integrated PLC systems at our headquarters in Austria. Zenon is sold through our own offices in Europe, North America and Asia, as well as partners and distributors throughout the world. Customers benefit from local contact persons and local support thanks to a decentralized corporate structure. As an independent company, we can act quickly and flexibly, continue to set new standards in functionality and ease of use and lead the market trends. Around 135,000 installed systems worldwide provide companies in the Food & Beverage, Energy & Infrastructure, Automotive and Pharmaceutical sectors with new scope for efficient automation. Over the last three decades, we have gained a reputation for offering, in zenon, the most innovative automation software. In practice, this means satisfying current standards and requirements as much as integrating them into developed systems. Allowing for the different habits and requirements of users and enabling them to carry out project development work quickly and without errors. This only works with a solid foundation. We act independently of external financiers and stock markets. With solid in-house backing, a large budget for research and development and consistent long-term software development, we free ourselves to work only for our customers. Our commitment to independence is evident in our products, which enable the greatest possible freedom when selecting hardware and software. We love challenges and set the pace for modern, contemporary automation. We naturally meet standards, but expend just as much time and energy creating software that enables the free development of individual working methods and individual customer solutions. Our customers are much more than business partners for us. They inspire us, their trust strengthens us and their feedback enables us to think in new ways and meet diverse requirements. We know our customers are as independent and autonomous as we are, as we continue our path as a manufacturer of software for industrial automation. Our challenge is to remain a strong and reliable partner. And continue to empower you according to our motto: do it your way. We are an innovation leader for industrial automation software and have been ensuring the success of our customers with visionary innovations for the last decades. Customers particularly value our reliability and solution oriented cooperation. As a dynamic and independent company, we are committed solely to the success of our customers and can react quickly and flexibly. Our subsidiaries and distributors represent zenon around the world and provide local sales and support services. 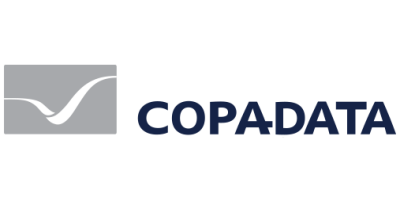 We work with the COPA-DATA Partner Community members as solution provider for your complete automation. Our product family zenon is in use in many industry leading companies. It includes solutions for HMI, SCADA, Dynamic Production Reporting and integrated PLC Systems. With highlights such as Multi-Touch at the HMI, we reinforce our claim to bring perfect usability and ergonomics to your plant.